A bill in the Virginia House that would have conformed the state tax code to new federal tax law failed to receive enough votes for passage Monday. The emergency legislation, which needed 80 votes, fell far short, receiving only 63. The measure, which was sponsored by House Appropriations Committee Chairman Chris Jones, R-Suffolk, received support from all 51 House Republicans and an additional 12 House Democrats. However, 34 Democrats voted against it, causing it to fall far short of the needed number. Its failure means the state might be unable to process early tax returns it already has received. "Conformity is critically important for Virginia taxpayers to file timely, and I’m disappointed that some of my colleagues voted against allowing this emergency legislation to proceed immediately," House Finance Committee Chairman Lee Ware, R-Powhatan, said in a news release. "We will continue to work toward a solution that conforms our tax code as is necessary while also passing a bill to ensure taxpayers get tax relief." Conforming the state tax code to the federal code would ease the tax filing process, make it run more smoothly and increase the likelihood that refunds will be returned on time. Without conformity, a complicated tax filing process and late refund returns are almost guaranteed. Although Democrats have been pushing for a tax conformity bill, the 34 Democrats who voted against the bill dissented because it also would have prevented an inadvertent tax increase caused by a change in the federal code language. Although the federal Tax Cuts and Jobs Act sought to reduce the federal tax burden across the country by increasing standard deduction rates, a Virginia code that requires residents to take the same federal and state tax status – Virginia deduction rates are lower – Virginians will be forced to itemize less and pay about $1.2 billion more in state taxes over the course of the two-year budget period. The Republican bill would have eliminated that tax hike entirely by removing the requirement to take the same federal and state tax status. Although this would not go into effect until next year, meaning that Virginians will pay more in taxes in the upcoming tax season, a separate bill would divert all of the additional income into a fund that will be returned back to the taxpayers in the following year. 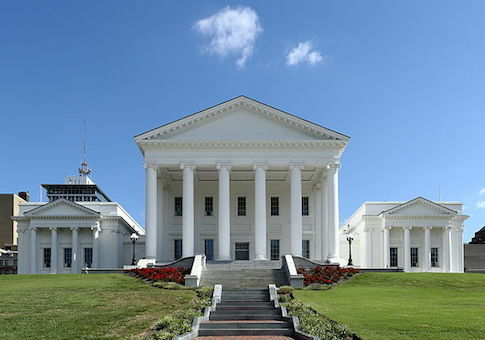 Additionally, the bill sought to increase the statewide standard deduction, which would have decreased the tax burden on Virginians by a greater amount. This entry was posted in Politics and tagged Taxes. Bookmark the permalink.